Yoga is a beautiful art and science that combines deep conscious breathing, postures, and focus to cleanse the body, crate flexibility, and calm the mind. Healing is a core value at Thrive. We empower our clients and students to take the inner journey of healing their pain while providing professional guidance and compassion to get there. My name is Erin Colleen Linzi. I am the owner of Thrive Yoga and Thrive Yoga Therapies, and I am a 500 level RYT, personal trainer, black belt in Shotokan karate, a private yoga instructor, Life Coach and level two Reiki practitioner. I’ve practiced and taught yoga for over 12 years. All of that is not why I know so much though, my knowledge of the body comes from years of experience. Besides this, I also dealt with chronic pain for many years, and I found that with all the people I went to everyone had a little piece of something that helps, but never the complete answer or so it seemed. And that’s why I’m a big advocate of self-care. Adrian’s enthusiasm for skincare began 14 years ago in suburban Baltimore when she got her first job in management at a local day spa. As her passion grew, Adrian helped cultivate a culture and environment that led her spa to be awarded “Best in Baltimore” 5 years in a row. After 8 years excelling in management, Adrian craved a new challenge and decided to take her passion for skincare to the next level. She moved to Chicago, where she worked at a Medical Spa, further developing her skills and education in Esthetics. 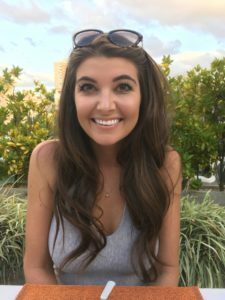 After a move to Florida, she graduated from Florida Academy’s Paramedical Esthetics course and has been practicing in the state for the past two years. Her life-long passion for skin care and her determination that each client adore her/his own skin drives Adrian to provide highly-personalized and result-oriented treatments. Adrian has trained in a number of professional skincare lines including Circadia, Eminence, PCA, Skinceuticals, Dermalogica and Sanitas. She specializes in corrective skincare and performs a wide range of services. Using science and nature, as well as the freshest technology and individually customized ingredients, she addresses and corrects problematic, acneic, photo-damage/aging, and sensitive skin. Adrian is also skilled in brow and lash design, full body waxing, and body treatments. In her spare time, Adrian enjoys practicing yoga, catching a sunset with her fiancé or playing with her 3 year old Labbe. Elizabeth is a recent transplant to Florida. She is originally from Wisconsin, where she attended the Aveda Institute for Beauty and Wellness. She spent many years wandering our beautiful country, including adventures in the mountains of Northern Montana, and Central Oregon where she lived in her Volkswagen “hippie van” with her dogs. She and her fiancé, Charles decided to move to the Bradenton area in hopes of starting a hobby farm and becoming a part of a community of fun and fitness loving sun seekers. She is a visual artist, singer, jiu jitsu and yoga enthusiast. Her nomadic spirit and deep appreciation for nature and the holistic power of healing touch lead her to the practice of massage therapy. 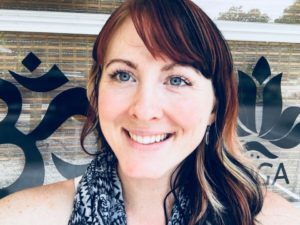 Her intuitive and artistic approach to massage combines deep tissue, trigger point, and myofascial release techniques to offer relief for overworked muscles and relaxation for the overworked spirit. She incorporates hot stones, cupping, and aromatherapies for those seeking relief from an active lifestyle. But if what you’re looking for is an easy going, relaxation massage, you won’t leave disappointed! Every massage is a one of a kind work in balancing, resetting, and unifying the mind, the body, the soul.